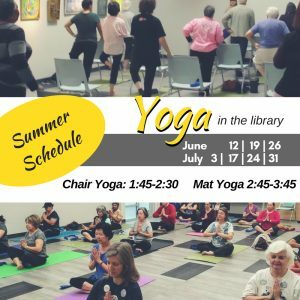 Home » Uncategorized » Library Yoga has Returned! Yoga is back at the library for Summer. Please check out our new times. As always, loaner mats are available for your convenience. We’re expecting to add an evening class in July, so please stay tuned!